The book has been around for some years (pre-GFC 2008) and this is the revised version released in 2014. I highly recommend this book to all serious investors out there. 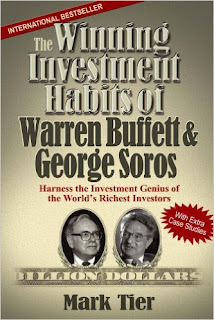 Investors who are not serious can skip this book. 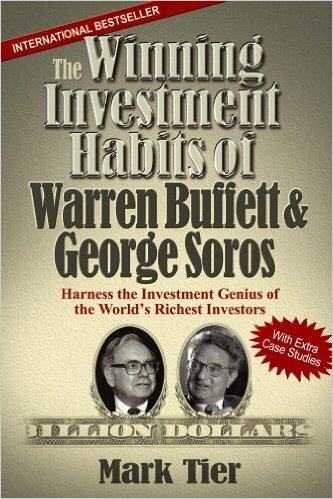 This is not a book providing formulas for you to earn money, but rather the thought process and investment philosophies of the two great masters, Warren Buffett and George Soros, to help you become better investors. Never lose money: Limited downside, maximum upside. The market is always wrong: If not wrong, little chance to earn money. High risk, high reward? Disagree: The more you know, the less risky it is. Knowledge is inversely proportional to risk and positively correlated to reward. Reward has little to do with the risk you take. Diversification is for birds / Buy as much as you can: I've put 70% of my net worth into a single stock before due to high conviction it will rise significantly. Do your diversified investments have any significant change to your net worth? If not, do something which can increase your net worth significantly, something which you might be already doing. Start with the 'As': There are thousands of stocks in the market, how to know all of them? "Start with the As." If you don't know, don't invest: Only invest what you know deeply. If you invest what you don't know, it's no different from going to the casino.